After about six seconds of careful consideration, she answered, “Yes, yes, I will.” But the next morning, he was troubled. Try as he would, he couldn’t remember if she answered yes or no to his proposal. With trepidation, he picked up the phone and called her. First, he explained that he couldn’t remember as well as he used to. Then he reviewed the past evening. As he gained a little more courage, he asked, “When I asked if you would marry me, did you say ‘yes’ or did you say ‘no’? “Why you silly man, I said “Yes. Yes I will.’ And I meant it with all my heart.” The widower was delighted. He felt his heart skip a beat. Then she continued, “And I am so glad you called, because I couldn’t remember who asked me!” Do you have good memory? What do you remember from the readings you have just heard? Are you living as foolish persons or as wise persons, well informed persons or ignorant persons? His attorney, Paul Adamson, said, "I am absolutely confident that everything that he's ever done for his wife has been done out of deep love, including the events that just recently transpired." Is it really deep love or foolishness and ignorance? In March, a New York man was sentenced to six months in jail after suffocating his 98-year-old disabled mother and slitting his own wrists. He told authorities he had just been told he had cancer and believed he was going to die soon, and feared no one would care for his mom. And a Washington state man accused of shooting his terminally ill wife this year, told investigators that she had begged him to kill her; he is free on bail while prosecutors weigh charges. "There almost comes to become a cultural acceptance that certain people are better off dead than alive." Juries are often sympathetic to those who kill a spouse out of what is portrayed to be love and compassion. Wesley J. Smith, a California lawyer who wrote a 2006 book "Forced Exit: Euthanasia, Assisted Suicide and the New Duty to Die" said, those who kill a loved one to end the suffering are acting out of their interests, he said. "We're really putting Grandpa out of our misery," Smith said (Associated Press, August 13, 2012). Killing others to spare them from suffering is neither true love nor true compassion. It is false love and misdirected compassion. True love and genuine compassion mean we care and are willing to suffer for them and with them. Jesus sets the example of true love and genuine compassion for us to follow. He is willing to die on our behalf in order to spare us from eternal death. 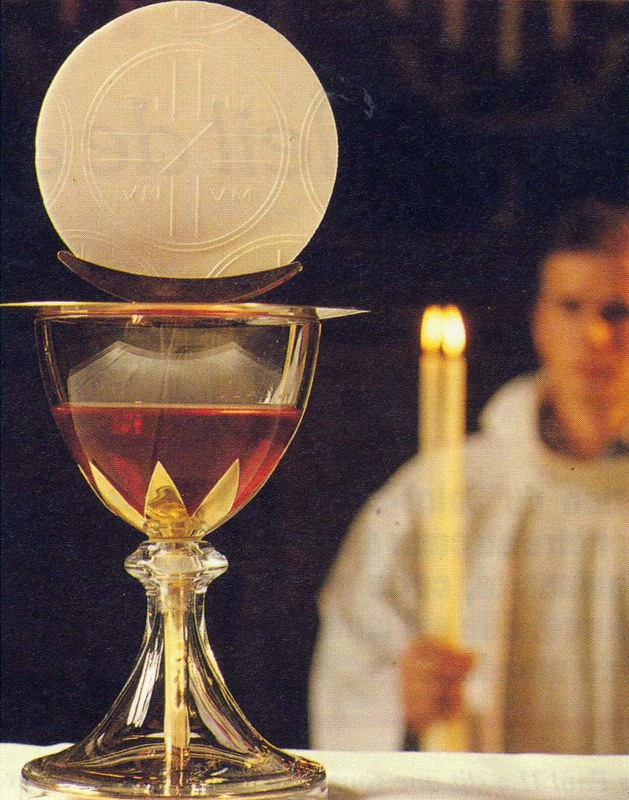 He continues to give himself to us in the Eucharist as our food for eternal life. God loves us so much that he decided neither to kill us nor to let us die, instead, he sends his only Son to suffer and die for us so that we can live happily forever with Him. Therefore look at God’s actions we know killing others to spare them from suffering is neither love nor compassion. But the modern world is not thinking that way. Many people of our time do not think that way. Our culture out there is telling us that it is mercy killing! They are acting out of compassion. It is false thinking. Pro-choice people are saying that out of compassion for women that they want to legalize abortions. Out of compassion they want to empower women with the right to abortions. This is not compassion. Empowering women to kill their unborn babies is not love and compassion. It is against love and compassion. Killing or assisting anyone to kill someone else is never and will never be an act of love and compassion according to the will of God, especially, when the killings are done to the helpless, innocent unborn babies. If we truly love and have compassion for women, we should show our respect, support and sacrifices for all women especially the expected mothers. Encouraging them or empowering them to have their babies killed is not compassion. We can surely say this because God is the most compassionate God, and we just look at Jesus. He is willing to suffer for us rather than killing us. Jesus is willing to die for us rather than killing us. And Jesus’ command is to love one another as He has loved us. His love is to suffer and die for others, not to kill them out of compassion and mercy! Our of love and compassion, Jesus is giving himself to us as food for eternal life. As he says in the Gospel reading today, “I am the bread that came down from heaven; whoever eats this bread will live forever and the bread that I will give is my flesh for the life of the world.” Each time we come to Mass to celebrate the Eucharist and receive Holy Communion; we learn to love as Jesus has loved us. We learn that if we truly love others and have true compassion for others, we are willing to suffer with them and sacrifice for them. When we love others this way, we will find joy in this life as well as joy in eternal life. You can test this out today. You can test this out when you leave church today and show your love for your family or for your spouses, not through “mercy killing” or fighting for the right to abortion, or to compete with others for a “bigger bite” of the pie, but by genuinely and willingly sacrifice yourself for them. You and I can become bread and wine for others to eat and drink if we want to. We can become vitamins and sources of nourishment for others. You can become food and drinks for members of your family so that they can have a better taste of life. You can become food and drink for your spouse and your children. Learning from Jesus, I suggest you go home today and find ways to become food and drink for your families and for others.